Summer time is finally here in Western New York and that means a lot of family fun with our weekly backyard camp fires. Roasting marshmallows, making S’mores, and of course, my favorite mountain pies. In this post, I’m going to show you how to make mountain pies, just in case you've never heard of one. Some people call the campfire hobo pies. 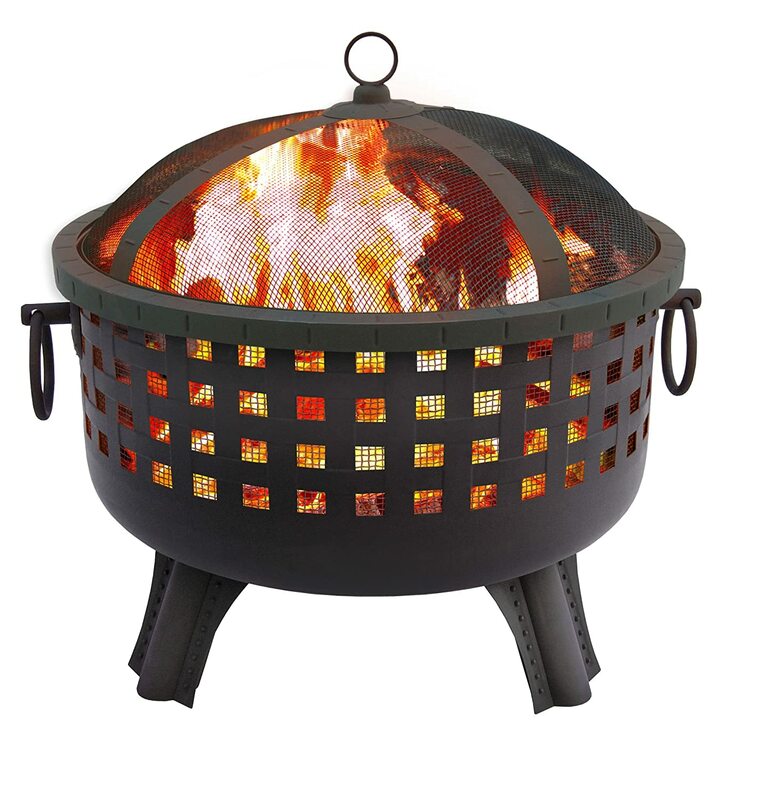 The first thing you need is a nice roaring camp fire, we use our portable camping fire pit in our back yard. Next, you’ll need mountain pie irons, and then some goodies to fill them up and enjoy these tasty little treats. For Father’s Day this year my daughter got me a set of Rome cast iron mountain pie irons. After following the directions to season them, they made the most wonderful and delicious mountain pies. · Butter a slice of white bread and place it butter side down on one-half of the pie iron. 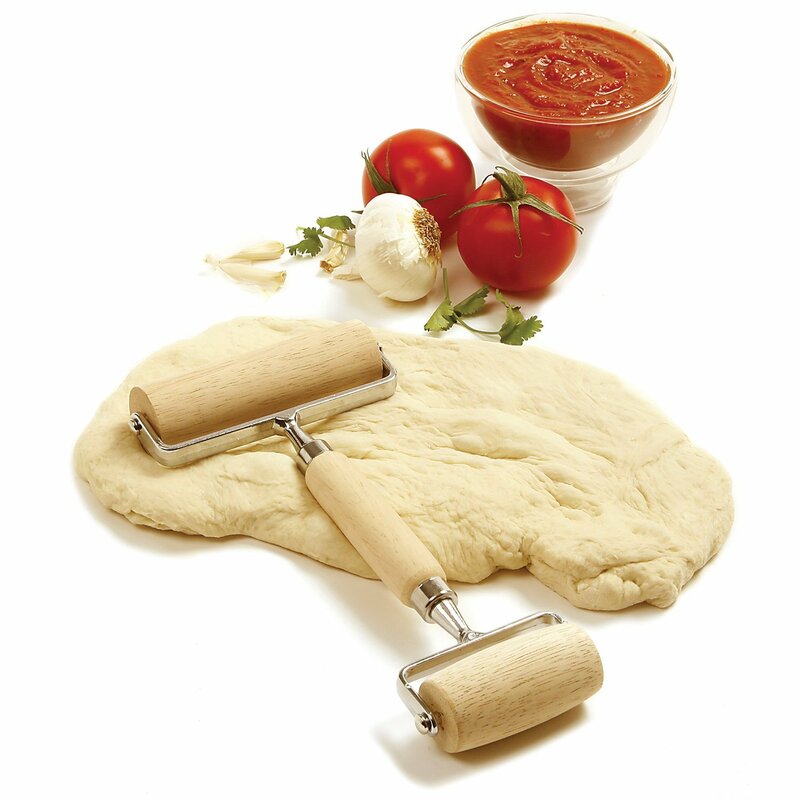 · Add about a tablespoon of pizza sauce, you can whip up your own or buy it already in a jar. 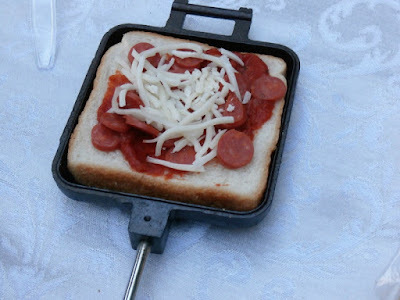 · Now add some pepperoni and mozzarella cheese. Add some mushrooms if you like. · Butter a second slice of bread and place it on top of your fillings with the butter side up. 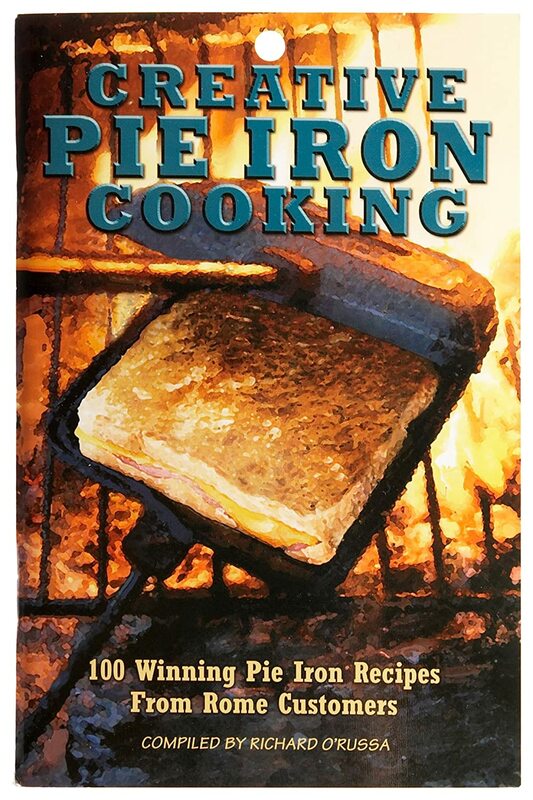 · Close the pie iron and place it in the fire, turning it occasionally, for about 4 to 5 minutes. 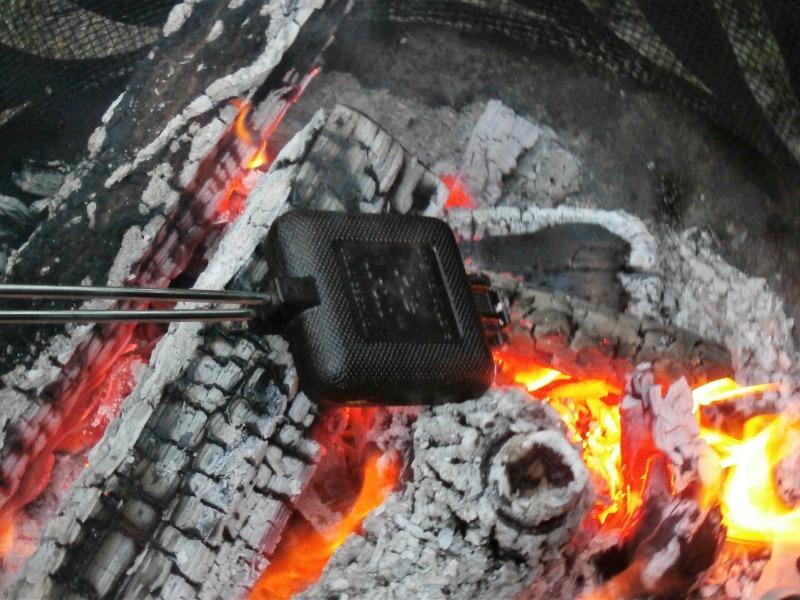 You can pull it out of the fire to check it during the process to make sure it’s not burning. 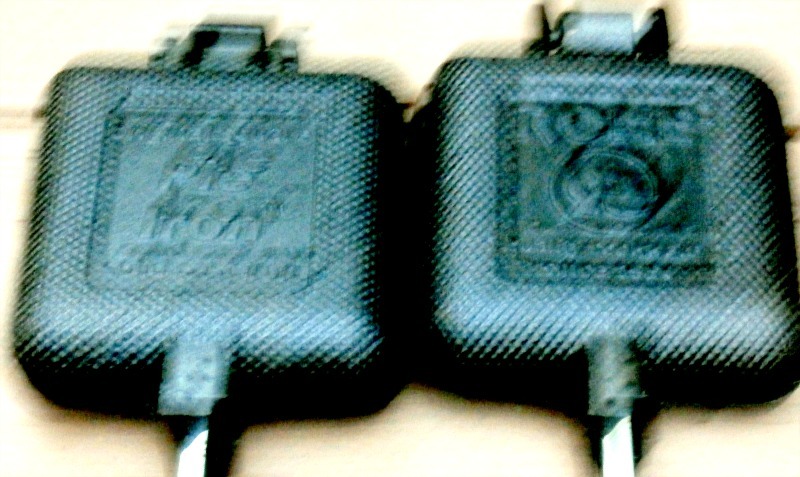 The hotter the mountain pie iron gets the quicker they cook. The best thing about mountain pies is that you can use any filling your heart desires. For example, my second pie was apple and cheddar cheese, you can make any hot sandwich you like using these pie irons. The pie irons come with some nice recipes to get you started, from sweet treats to savory pies and sandwiches. 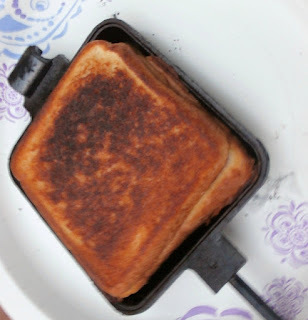 Just a word of caution: Your mountain pie irons will be extremely hot so be careful for yourself and the kids. The weather forecast on Saturday here in Western New York was calling for dangerous thunderstorms, but that wasn’t the case. The day turned out to be a beautiful day of sunshine with temperatures in the 80’s. So, it was time to try some smoked ribs on the grill. After cleaning off the deck I took my propane tank for the gas grill and got it filled up. I wanted to make sure that I had enough propane for my first try at smoking ribs using the gas grill. After reading so many great smoker recipes from Old Fat Guy Cooking on his Louisiana Pellet Grill. I just had to try to get some of that smoked flavor that he is always talking about. Click the link to see all of his amazing smoker recipes and much more. In my opinion, he is a master at this. 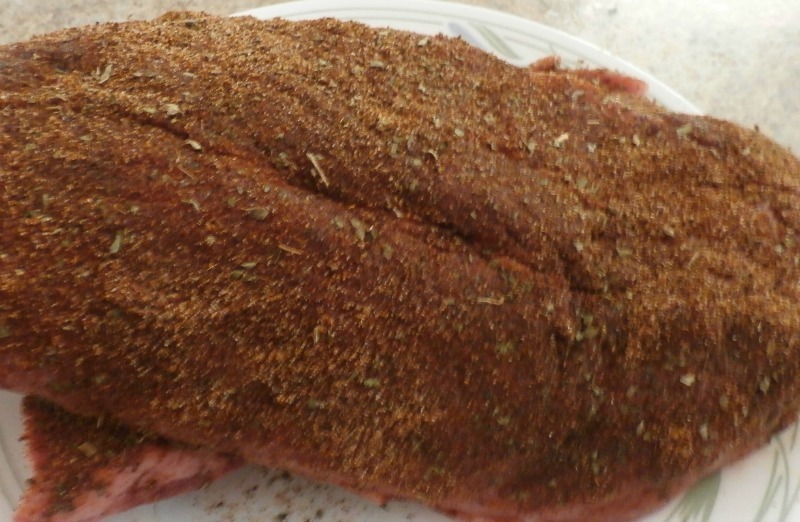 I picked up a nice rack of back ribs at the store, along with a bag of Applewood smoking chips. 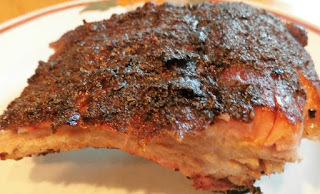 I decided to use the Southwestern rub similar to the one I used in this recipe, Grilled Southwestern Chicken Breasts. I changed it up a bit by adding some Cajun seasoning and ground black pepper. After mixing and shaking the rub, I cut the back ribs in half and brushed them with olive oil. Then I hand rubbed the mixture onto both sides until it was all used up. I covered the ribs and set them in the refrigerator for 2 hours. I wrapped up four packages of the Applewood chips in tin foil, a handful in each package, and poked holes in the top. 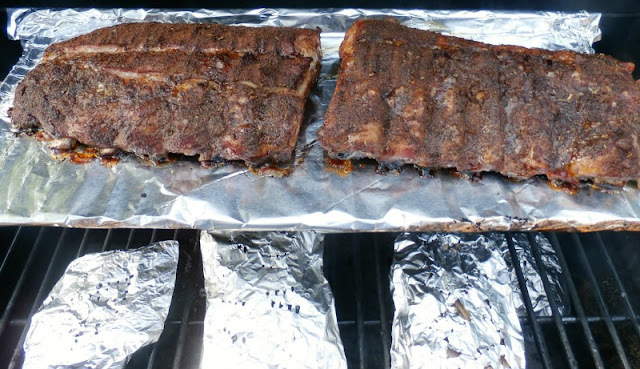 I heated the grill on the high setting and placed the ribs directly on the rack for 2 minutes per side. Then I moved the ribs to the upper rack of the grill, turned one side of the grill off and lowered the other side to just above the low setting. I place the packages of wood chips on the surface and closed the lid. My goal was to try and maintain a 250-degree internal temperature of the grill. I was just guessing at this point; I don’t have a surface thermometer for my grill. After one hour and 45 minutes, I had 150-degree internal temperature of the ribs. I needed to get to 180 degrees. At this point, I turned the second burner on to the same setting. It took another 45 minutes to reach 180 degrees. After I turned the second burner on I had to put out a couple of fires using a spray bottle of water. I removed the ribs and covered them to let them rest for about 15 minutes. The total cook time was 2-1/2 hours. The outside of the ribs had a nice tasty crust, and the inside was juicy and tender with a nice smoked flavor from the Applewood chips. I was pretty happy with the outcome for my first attempt at smoking on the gas grill. I think I need to buy a surface thermometer for my grill to give me more control. 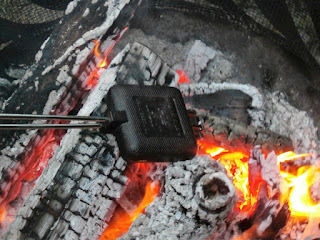 I was experimenting here and everything was a guess to control the temperature of the grill. As always thanks for stopping by, and I hope you enjoyed.